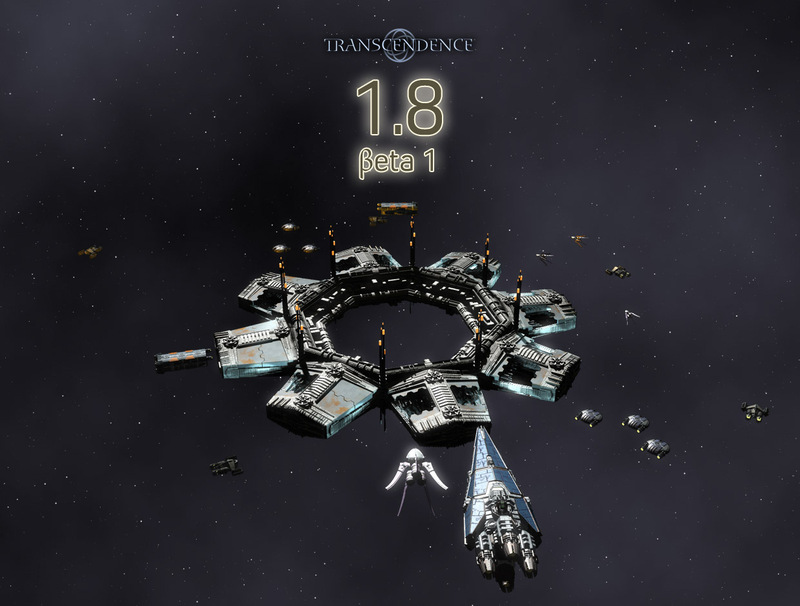 In Transcendence, your ship is your character. You upgrade your ship the way you would level up your character in an RPG. That's still the case in the core game (at least in Stars of the Pilgrim) and is not likely to change. But there's no reason we can't offer a chance to buy a different ship in the middle of the game. If players want to do it, great. If not, they can always stick with their current ship. We've added yet another (hopefully) interesting choice. In version 1.8 you'll be able to buy 8 different ship classes inside the game (9 with Corporate Command). 5 of these are classes that we're not playable in previous versions: EI100, EI200, Centurion, Centurion/X, Minotaur, and Minotaur/M. Trading has always been a key part of the game, but previous version never got the mechanics right. Anyone could profit from an ice farm to hotel route as long as they knew about the ice farm to hotel route. There was no real challenge to it. In 1.8, I've made prices more dynamic. Different systems will have different prices for items depending on what stations they have. Systems with lots of ore mines will have low prices for ore. Systems with lots of populated stations will have higher prices for food. Players will get hints about the system prices in the galactic map and thus will be able to make interesting choices about what items to carry and sell. Equipping your ship should involve trade offs. Do you want an omnidirectional weapon or a fixed weapon that does twice as much damage? In 1.8, we've added a mechanic in which heavy armor slows down your ship (drops its maximum speed). This presents the player with another interesting choice: more hit points or more speed? Different players will (hopefully) make different choices, leading to more mechanical richness and more gameplay diversity. Better UI for choosing Korolov escorts. Using the standard mission system for Commonwealth militia and fleet missions. New images (e.g., Point Juno, Ares sentries, Centurions). Requires TransData 3.3.17 or higher. 1.7 will not automatically upgrade to this release (since it is a non-stable version). NOTE: We do not recommend loading saved games from previous versions. If possible, start a new game with 1.8 Beta 1. Thanks to everyone who contributed to this release, especially: AssumedPseudonym, erwgd, Ferdinand, John B. Watson, PM, Relanat, The Shrike, and Xephyr.